The ability of oysters to remove large quantities of particulates from the water column, thereby potentially improving water quality, has been cited as one of the reasons for oyster reef restoration. However, this ability has not yet been effectively demonstrated in the field. As part of the Alabama Oyster Reef Restoration Project, this study was designed to assess impacts of restored eastern oyster (Crassostrea virginica) reefs on primary production, nutrient dynamics, and water quality in shallow tidal creeks. Using a Before–After-Control–Impact (BACI) design, we monitored tidal creeks around Dauphin Island, AL, for changes induced by the introduction of oyster reefs. Reef placement resulted in increased ammonium (NH 4 + ) in two of the three experimental creeks. Interestingly, oyster reefs did not seem to reduce water column particulates or have an impact on phytoplankton or microphytobenthic biomass or productivity. We do not believe that our data discount the importance and/or usefulness of oysters in modifying the water column. Rather, we acknowledge that it is difficult to detect these impacts/environmental services in this type of system (i.e., a tidal creek system), because they seem to be very localized and short-lived (i.e., not ecologically relevant on a creek-wide scale). 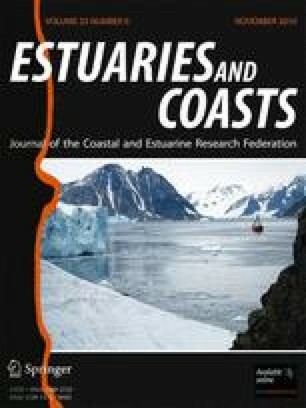 This study highlights the need to consider location and habitat in planning oyster restoration projects. Also, it demonstrates that the types, magnitudes, and spatial extent of changes in ecosystem services that should be expected after reef restoration might need to be re-evaluated. We thank all who helped in the project, including D. Byron, L. Linn, C.S. Major, J. Goff, the Powers laboratory, and the Heck laboratory. C. Duarte and two anonymous reviewers provided comments that improved the manuscript. This research was funded through the National Marine Fisheries Service of the National Oceanic and Atmospheric Administration [award # NA17FZ2602-05 (KM); award # NA17FZ2602-07 (JC)].